It's almost too gorgeous to take in. 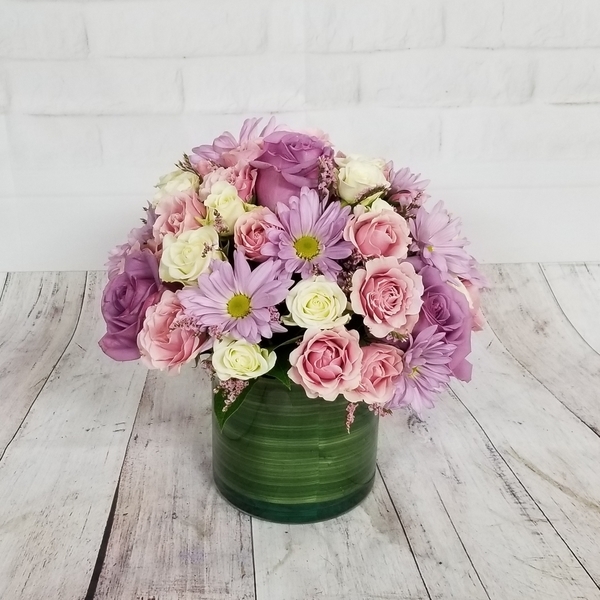 Lush spray roses and daisies in intoxicating shades of lavender, white and pink - a vision of love that will take her breath away. She'll be gushing about it - and you - for days. &lt;/p&gt; color combination upon delivery may differ. Our florist will select the freshest products available to create this beautiful bouquet.